Video of several incidents involving explosions during structural firefighting operations have been posted to YouTube in the last several weeks. Two of these videos, one from New Chicago, IN and the other from Olathe, KS involve residential fires. The other is of a commercial fire in Wichita, KS. When a video shows some sort of spectacular fire behavior there is generally a great deal of speculation amongst the viewers about what happened. Was it a smoke (fire gas) explosion, backdraft, flashover, or did something else happen? Such speculation is useful if placed in the framework of the conditions required for these phenomena to occur and the Building, Smoke, Air Track, Heat, and Flame (B-SAHF) indicators that provide cues of to current fire conditions and potential fire behavior. Occasionally, what happened is fairly obvious such as flashover resulting from increased ventilation under ventilation controlled conditions. However, the phenomena and its causal factors are often much more of a puzzle. Download and print three copies of the B-SAHF Worksheet. Limited information was posted along with this pre-arrival video of a residential fire in Olathe, KS. The home was unoccupied when the fire occurred. Watch the thirty seconds (0:30) of the video. First, describe what you observe in terms of the Building, Smoke, Air Track, Heat, and Flame Indicators; then answer the following five standard questions (based only on what you observe during the first thirty seconds of the video)? What additional information would you like to have? How could you obtain it? What stage(s) of development is the fire likely to be in (incipient, growth, fully developed, or decay)? What burning regime is the fire in (fuel controlled or ventilation controlled)? What conditions would you expect to find inside this building? Did fire conditions progress as you anticipated? What changes in the B-SAHF indicators did you observe? What may have caused the explosion (consider all of the possibilities)? Were there any indications that may have given warning of this change in conditions? Companies from New Chicago and Hobart were dispatched to a reported house fire at 402 Madison in New Chicago, IN on February 17, 2012. Wichita Fire Department on scene of a working building fire in large, non-combustible commercial building. Extreme heat and fire conditions cause an unknown cylinder to explode. Keep in mind that gas cylinders and other closed containers can result in explosions during structural firefighting operations. Unlike backdraft and smoke explosion, the only clue may be building factors related to occupancy (and this may not be a good indicator when operating at a residential fire). Wichita Fire Department on scene of a working building fire in a large metal structure. Extreme heat and fire conditions cause an unknown cylinder to explode. If you listen close, you can hear it vent before it goes off. Concussion actually cuts out my audio for just a couple seconds. No one was injured. Potential for explosions related to extreme fire behavior such as backdraft and smoke explosion may be recognized based on assessment and understanding the B-SAHF (Building, Smoke, Air Track, Heat, and Flame) indicators. Other types of explosions such as those resulting from failure of closed containers (e.g., containing liquids or gases) may be a bit more difficult as this potential is likely to be present in most types of occupancies. However, commercial and industrial occupancies present greater risks. 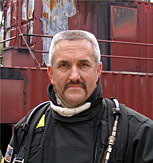 Base your strategies and tactics on current and anticipated fire behavior and structural stability. Ensure that members correctly wear complete structural firefighting clothing and SCBA when working in the hazard zone and practice good air management. Buddy check before entry! Crews operating on the interior should have a hoseline or be directly supported by a crew with a hoseline. If conditions deteriorate, a hoseline allows self-protection and provides a defined egress path. Have well practiced battle drills for tactical withdrawal and abandoning the building (depending on conditions). See Battle Drill, Battle Drill Part 2, and Battle Drill Part 3. My next post will address the impact of a closed door on tenability during a residential fire as the ninth tactical implication identified in the UL study on the Impact of Ventilation on Fire Behavior in Legacy and Contemporary Residential Construction. Subsequent posts will come back to the Olathe, KS and New Chicago, IN residential fires to examine potential impacts on fire behavior and explosions that resulted during these incidents.